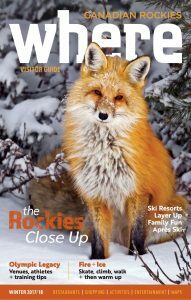 Based in Canmore, Alberta, RMV Publications Ltd produces travel magazines, dining guides and maps that showcase the best of the Canadian Rockies and help enrich vacations. For over 35 years, RMV Publications products have provided essential information for travellers visiting (or planning to visit) the Canadian Rockies. RMV Publications primarily service the Alberta Rockies, including Banff, Canmore, Jasper, Kananaskis and Lake Louise. 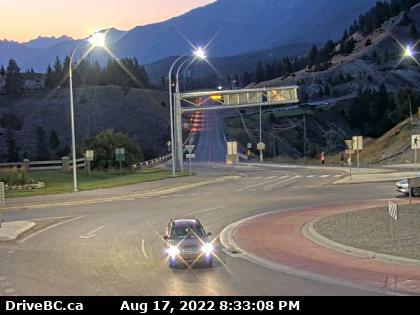 They also serve the BC Rockies, including Cranbrook, Golden, Fairmont, Fernie, Kimberley, Invermere, Radium, Revelstoke and others. RMV Publications magazines are published under the trade name Where Canadian Rockies. RMV also produce publications and websites with other trade names and offer multi-platform creative services, contract publishing (print and digital) and brochure distribution services. Attractive, informative publications are referred to frequently. Where Canadian Rockies maintains a high standard of writing, is printed in full colour on glossy stock and is perfect bound. IMPACT! Brochure Systems division distributes, racks and warehouses RMV publications plus tourism brochures owned by other businesses.